Are you ready to get your company on social media but don’t know where to start? Marketing for social media is an excellent way to connect to new customers. Facebook alone has 1.8 billion users, making social media the perfect place to tap into an unreached audience. This new era of marketing can seem intimidating to break into but we are here to help! Keep reading for 5 social media marketing tips you can’t go without. Here are some of the top social Media Marketing Tips which you can follow to get the best from the social media where people spend most of their free time. If being a business, you can in-cash those, it will be a huge benefit for your business. Let's start and see some of the top social Media Marketing Tips to implement. The first part of any successful social media marketing campaign is having a clear direction. Come up with a plan for what you want to gain from using social media. And figure out which platforms cater most to your target audience. By having a clear vision for what you wish to gain from marketing on social media you’ll have a higher chance of success. It's important to really understand who you are marketing to. Dig into the data surrounding your current customers so you can begin to get a clear picture of who are already interacting with your company. You want to gear your social media towards these kinds of people and paying attention to social media analytics can help you get a clear idea of what works and what doesn’t. Not every social platform is the same, and the marketing style of each various a lot. Look up the demographics of different platforms to see where your target audience is spending the most time. Depending on what type of content you are trying to market this can also affect which platform you choose. Once you have the platform figured out then you can start planning your marketing strategy. Tying back into having a plan for marketing on social media, think about how often you want to post. It's important to have a consistent presence considering there are so many other accounts out there. If you aren’t posting enough your account may get lost in the sea of social media. Plan out what type of content you want to publish and how often you should be posting depending on the platform you are using. Some platforms even offer post scheduling. Make a calendar for your posts to help you stay on top of it. Consistency is important but so is having meaningful content. If you are posting a lot without a clear purpose, you are likely to lose followers. You want to make sure your posts offer value to your customers. You will generate more business by connecting with your audience and building good customer relationships than by just having a bunch of posts. Think about using messenger marketing as a way to connect directly to your customers without over-sharing on your feed. No matter what size your business is, social media is an excellent tool to help you gain valued customers. 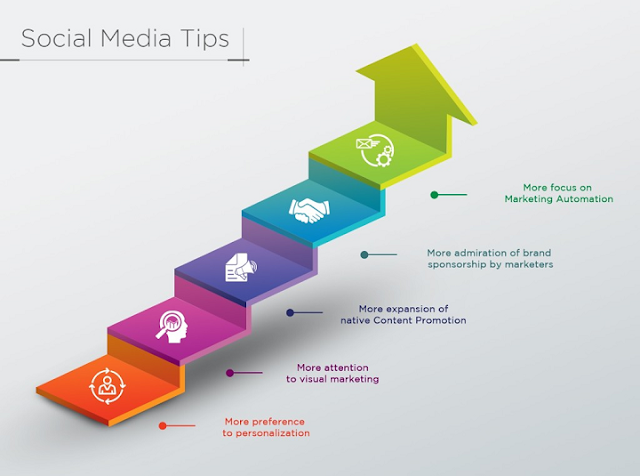 Keeping these tips in mind will help ensure your marketing for social media is successful and effective. For more tips on helping your business grow, check out our website!